Glide freely across the studio floor in Hanami. 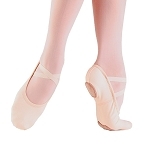 This slip-on ballet shoe is made of high quality canvas material that stretches as if you're wearing nothing at all. The split-sole design eliminates bulk in the arch, provides maximum metatarsal protection and allows the flattest platform to pivot on. 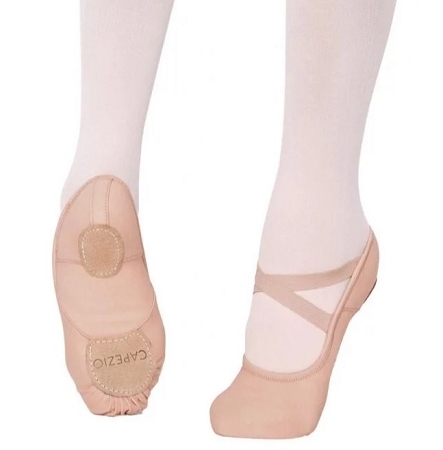 What sets the Hanami apart from other ballet shoes is the patented technology that creates a seamless diamond gusset in the arch of the shoe. This means there is no harshly stitched line down the center that will interfere with how you point and flex. 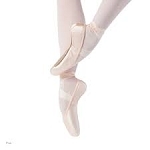 No drawstrings erase any worry of the ballet slipper coming undone. High caliber dancers swear by this slipper. 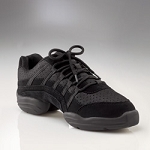 Women order 1/2-1 size larger than street shoe. Men order 1-2 sizes larger than street shoe.